Budget airline easyJet has axed its flights between Aberdeen and London Gatwick. It will withdraw from the route on February 8, it was confirmed today. EasyJet’s move to scrap the service means Aberdeen will no longer have a direct air link to one of Europe’s largest airports, or its connections to destinations worldwide. A spokeswoman for Aberdeen International Airport said: “We’re extremely disappointed at easyJet’s decision to withdraw its Gatwick service. EasyJet flies twice a day between Aberdeen and Gatwick from Sunday to Friday, with one flight operating in each direction on Sundays. 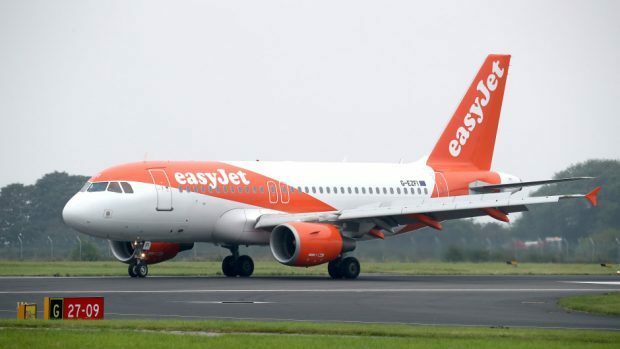 A spokesman for the Luton-based airline said: “After reviewing the route, easyJet can confirm that it will cease operating flights between Aberdeen and London Gatwick from February 8 2019 due to a reduction in demand. “We concentrate our efforts on maintaining and developing routes which prove most popular with passengers.